At just two-and-a-half-years-old, John Graziano would visit his father at the U.S. Air Force Academy in Colorado Springs, Colo.
Then a professor of atmospheric science at the Colorado Springs military academy, Tom Graziano would hold his son’s hand and watch in awe as the toddler walked the halls, rattling off the names of the planes displayed in photographs. “He knew all of the airplanes,” the elder Graziano said. It was a talent noticed and acknowledged by students of the academy. Tom and Glenda’s son wanted to be a fighter pilot, and he dedicated his life to that goal. 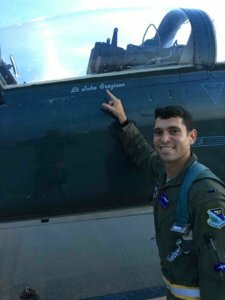 John Graziano died Nov. 13 in a T-38 Talon crash at Laughlin Air Force Base in Texas. He was 28, and a beloved member of the Catholic community in the Archdiocese of Baltimore. He will be remembered Dec. 1 with an 11 a.m. funeral Mass, to be offered by Father Gerard J. Bowen, the family’s pastor at St. John the Evangelist in Columbia, at the Wilde Lake Interfaith Center. 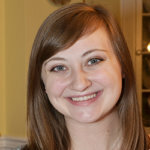 John Graziano and his siblings: Paul, 26; Katherine, 24; and Sarah, 22; grew up in Elkridge and graduated from Our Lady of Perpetual Help School in Ellicott City and then Archbishop Spalding High School in Severn. While a student at Spalding, Graziano was a peer minister and an extraordinary ministry of holy Communion. Graziano went on to study at the University of Maryland, Baltimore County, where he earned a degree in mechanical engineering and participated in Air Force ROTC. 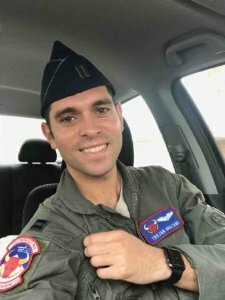 In January 2014, Graziano entered the flight training program at Laughlin and, after graduation, was asked to stay on as a first assignment instructor pilot (FAIP) for the T-38 Talon. In early 2019, he was to move on to his next assignment, in Phoenix, to fly F-16s. One of Graziano’s friends on the base told his father that if you were to ask any person in the squadron who his best friend was, they would all say it was John. Graziano is mostly remembered by his parents, however, as light-hearted, funny, nurturing and warm. He loved to have fun, and was very close to his family members. 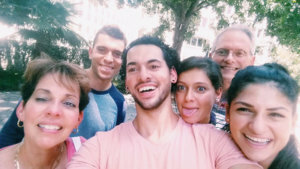 Graziano took the family’s strong faith with him to Texas. He was an extraordinary minister of holy Communion and lector at the chapel on base, and encouraged friends to accompany him to Mass and to talk about faith. The Graziano family traveled to Texas for a memorial service Nov. 21. A Mass was offered in his honor on the base the same day. Graziano’s father said the deacon giving the homily mentioned a “voice” had told him to play “The Prayer,” a song by Celine Dion and Andrea Bocelli during Mass, despite the fact that secular songs are not usually part of a liturgy. The deacon was unaware that “The Prayer” was the favorite song of his paternal grandmother. She had died Nov. 13, 2012 – six years to the day before John’s life ended. “There’s certainly a hole in all of our hearts here,” Graziano’s father said. “It’s only our faith now that is carrying us through this difficult time,” his mother said. That is what them out of bed in the morning.